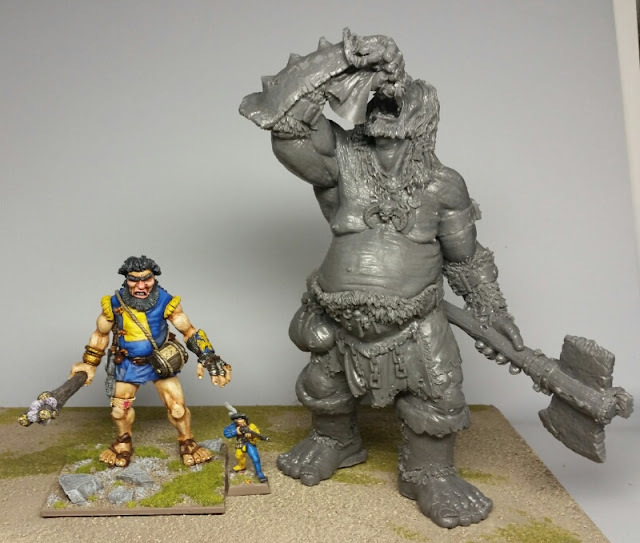 Next up for Big April '18 is the big guy from Heresy Miniatures. Was a very quick cleanup & assembly. Clean casting and fit together well. Didn't even bother pinning, as everything seemed keyed and/or seated very securely. Need to wait for better weather to prime him. I'll also be back in Texas (Houston, this time) for most of this week, so I won't get to work on this one until next weekend, at the earliest. Another cool giant. I look forward to seeing this one as well.